Co-Optimus - News - Ghostbusters Multiplayer Patched 1.5 Years Too Late? Ghostbusters Multiplayer Patched 1.5 Years Too Late? When Ghostbusters came out a year and a half ago it had a few disappointing flaws. First, it had no co-op campaign (which can't really be changed now), but it also had broken achievements in the multiplayer mode. Four of the achievements in the co-op "horde" mode would not unlock. Now that the game has filtered through all of the Microsoft red tape to get the patch, is that really enough to bring us back to the game? It sounds like 360Achievements.org has found an issue with the new patch, stating that it doesn't quite work. 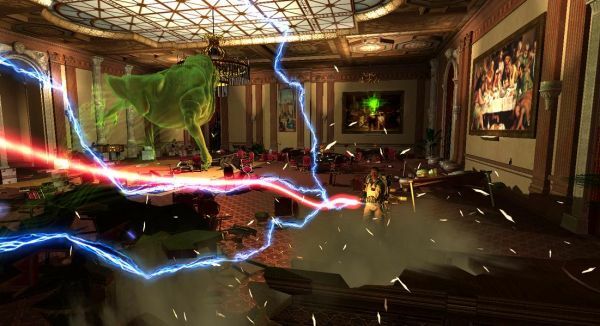 The Ghostbusters Xbox 360 multi-player patch is now available! Many thanks to all of our wonderful supporters for their patience and continued support! The next step is to go get those achievements, and they are some doozies! Thanks to our awesome QA staff, we have a step-by-step walkthrough of how to go about getting them. However, Achievements Payday and No Job Too Big have been complained about on the forums at 360Achievements saying that if you've already tried for these over-powered achievement they still won't unlock. If you've never tried for either of these high-score battling achievements though, it sounds like you're in the clear. Are the patched achievements enough to bring gamers back to the horde-only co-op of Ghostbusters? I suppose we'll have to wait and see.